After the decision by Bradford Council to close Bracken Hall Countryside Centre and Museum in March 2013, a group of people got together to form an organisation dedicated to the reopening and running of Bracken Hall because they believed it was a great place to organise walks, talks, educational visits, outdoor activities and a whole load of other things. 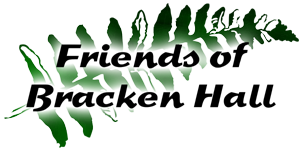 The Friends of Bracken Hall was born! Bracken Hall has been active for over 30 years, 13 of them led by John Dallas. In that time, many thousands of people have visited the centre and enjoyed the fish, bees and rabbits, monthly public guided walks, bat walks, fossil walks, bird walks, stream dipping, pootering for insects, painting and woodland sculpture and learned from exhibits in the museum.